Ukraine exported 67,600 tonnes of sugar in June of the current marketing year (2017/2018 MY, September through August), which is 25% more than in the previous month, the National Association of Sugar Producers, Ukrtsukor, has reported. 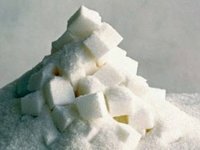 "Large batches of sugar in June were shipped to Uzbekistan (51%), Libya (35%), while smaller batches were exported to Azerbaijan (5%), Armenia and Georgia (3% each)," the head of the association's analytical department Ruslana Butylo has said. In the 10 months of the current MY (since September 2017), Ukrainian producers exported 501,000 tonnes of sugar, which is 32% less than in the same period last year. "This year, sugar beet crops are sown on 280,000 hectares, which is 13% less than last year. According to the Association forecasts, the production of sugar beets will decrease by approximately 10% and will fluctuate around 13.1 million tonnes, thus the production of sugar will be about 1.75 million tonnes," the association said. As reported, Ukraine in 2016/2017 MY increased sugar exports by 6.8 times, 769,300 tonnes.